Now isn’t that the truth!! I know I keep going on and on about my trip to Europe, but kind readers, bare with me. I find that there is just so much to share with you!! 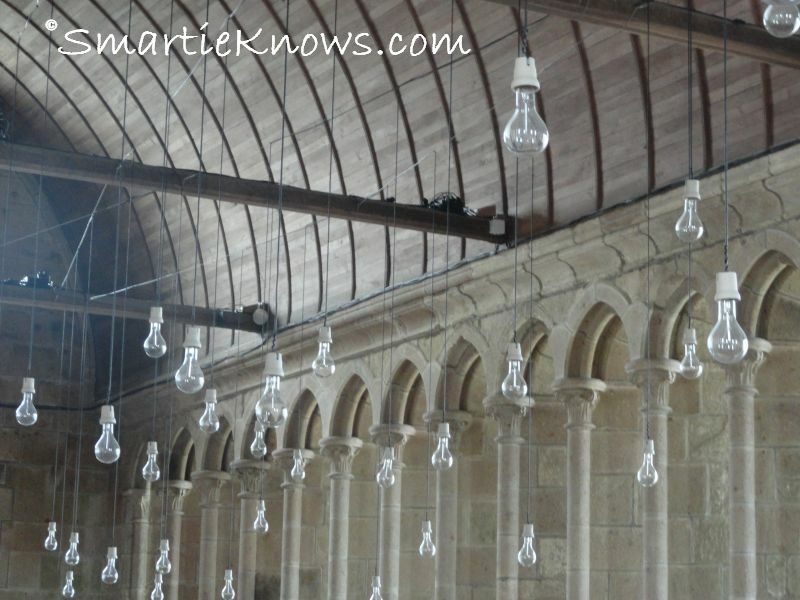 I already told you about my trip to the medieval abbey Le Mont Saint Michel in my previous post “A Princes, An Order and An Abbey” but I didn’t tell you about what I saw there. 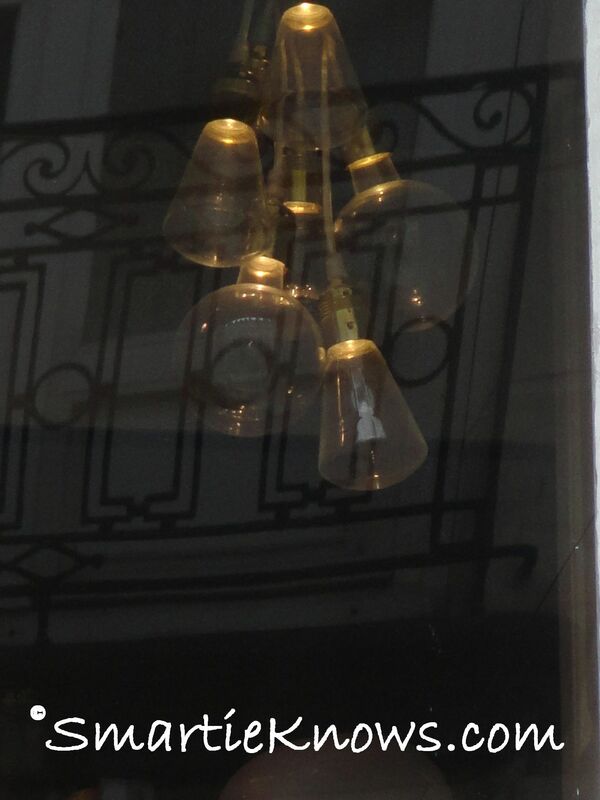 Lightbulbs! An entire room of lightbulbs. You should have heard me yell with glee! 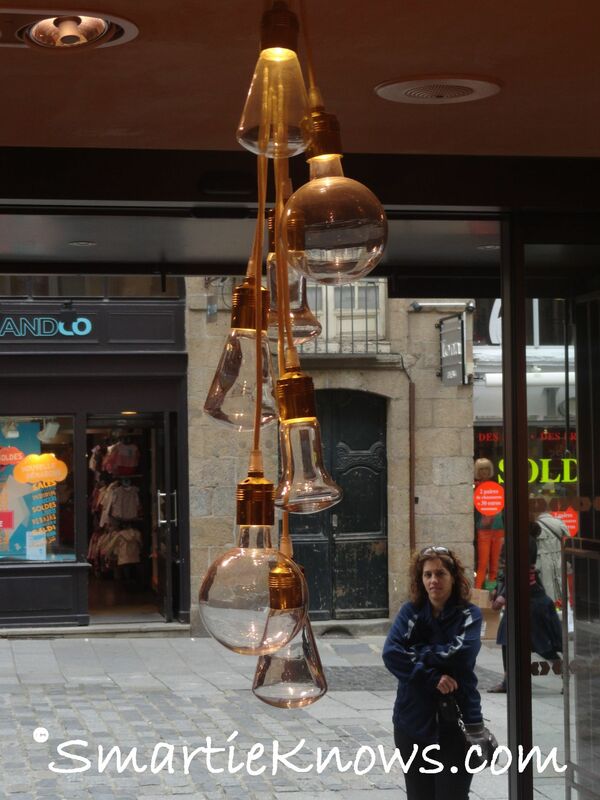 And then the next day, while walking around in the city of Rennes, I look into the window of a store, and I see this!! I just had to go into the store. You should have seen all the lightbulbs hanging around. And these ones where in a dance store I went to check out for my daughter. What is my obsession with lightbulbs? Let me explain it to you. What is the purpose of a lightbulb? The answer is easy: it’s to emanate light. And why do we have light? A number of different reasons: to light an area, lead the way, make the dark less scary. Mainly, to allow us to see. 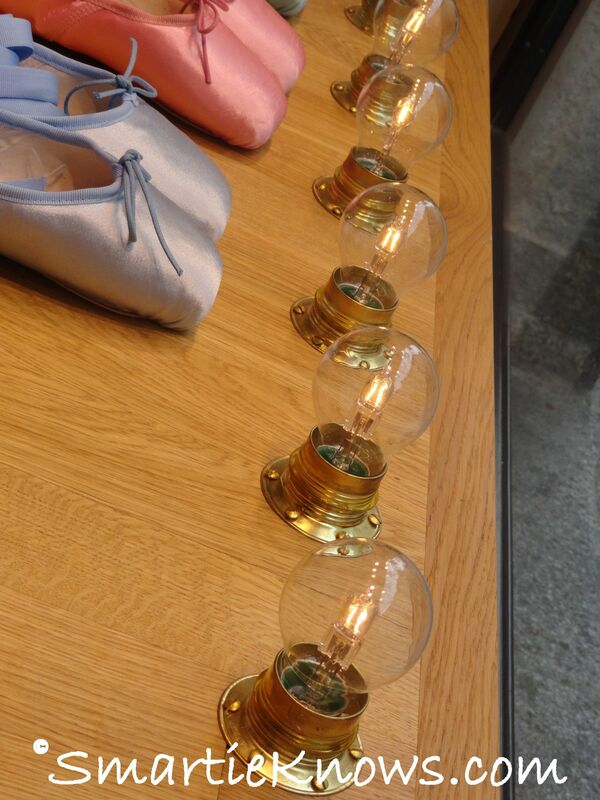 So to me, lightbulbs are a reminder to always try to look at the bright side of life. Yes, I have that song now stuck in my head too….good ol’ Monty Python. Wether it be being in significant debt, having weeds growing in your driveway, losing your job, fighting with your loved one, going through a divorce etc, there is always a bright side to it. So now, every time I see a lightbulb, and they’re EVERYWHERE I’ve noticed, I am reminded to do an internal check and see where I’m at. Bet you that you’ll notice them everywhere too now! hehehe….if you come across any interesting ones, do share. I’ll post them on this blog to share with everyone.